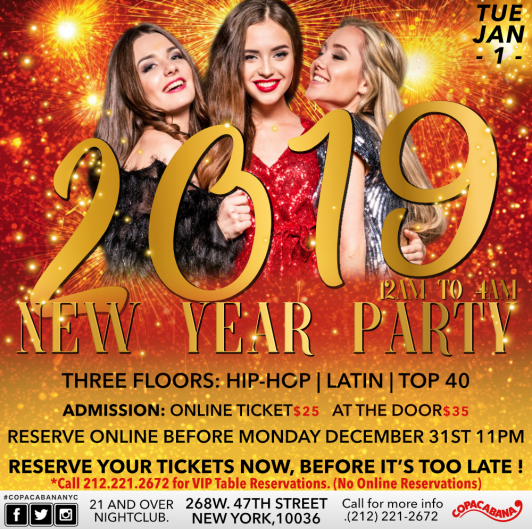 This e-ticket is only valid for the 2019 NYE Party organized by the Copacabana Times Square from midnight until 4am. Floor 2: Top 40's, Hip Hop, House, Dance, Freestyle, and much more. Rooftop: Best Mixed Music at the Biggest Nightclub of Times Square.